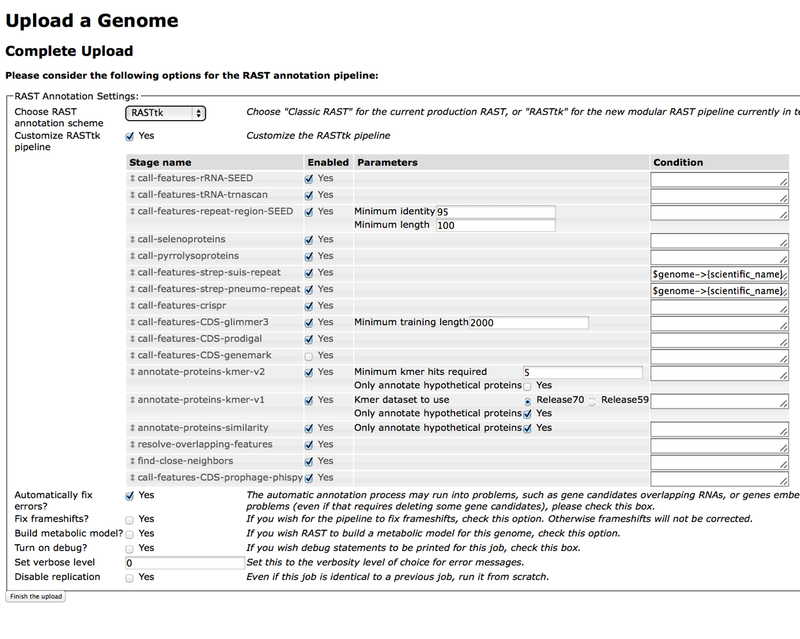 Welcome to the tutorial on submitting genomes to the RASTtk service in PATRIC in batch mode. You can follow this tutorial by using the PATRIC Command Line Interface. We recommend that you first familiarize yourself with the RASTtk commands in the tutorials, RASTtk: Getting Started With The Default Pipeline and RASTtk, The Incremental Commands. The username and password are your PATRIC account username and password. Navigate to a directory where you are comfortable working. Please remain in the current working directory. We will populate “ToSubmit” momentarily. Now we have two files called “E_coli” and “B_subtilis” which have been converted to genome typed objects and are waiting to be submitted. If you were annotating your own genomes, the process would be the same. You would first need to convert your contigs in fasta format into genome typed objects with the appropriate metadata. It is the directory of genome typed objects that is then sent to the RAST server. This will download an annotated genome typed object for each genome. You will see the contents of the output directory. The files with the file extension, “.gto” are the annotated genome typed objects and the “.stderr” files provide a record of what annotation steps the RAST server performed. The .stdout file reports the temporary directory where the computation was performed one the server. That’s all there is to it. Running the default RASTtk pipeline in batch mode centers around the commands rast-process-genome-batch and rast-download-genome-batch. The most difficult parts are creating the initial directory of genome typed objects and and the conversion of the downloaded genome typed objects into useful output using “rast-export-genome”. When you are annotating a directory with many genomes it may be necessary to write a script that does this pre- and post-processing for you. To demonstrate a custom batch mode submission, we will reannotate the E. coli and B. subtilis genome typed objects that we originally put in the “ToSubmit” directory. We will customize this submission by adding the prophage finder, PhiSpy. Customizing a batch submission is nearly the same process as a default batch submission except that that it requires that you submit a special file declaring the steps of the custom pipeline that you wish to run. In order to do this, we use rast-process-genome-batch and we provide the workflow file document using the –workflow flag. Please click the link below to look at the file that we are about to use. Notice that it contains a field called “stages” under which every every step is declared with a key called “name”. Special program options such as “condition” and “paramaters” can also appear in this file under each named step. Notice that at the bottom of the file one of the named steps is “call_features_prophage_phispy”. Please download this file by right clicking (or control-clicking) the link. We will name the file Workflow.txt. Then save it to your current working directory. If you are working in IRIS you should upload it to your working directory after you have saved it on your computer. You can check the status of your job with rast-query-genome-batch the same as before. If you look at the new directory, it will have the same file names as before. Notice that new file contains the prophage calls. If generating a RASTtk workflow document seems unpleasant to you, then you’re in luck. It is possible to generate a workflow document using the RAST website. The workflow file is available by clicking the “Download” button.